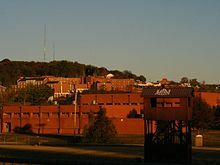 Alabama A & M University, located in Normal, Alabama, houses five schools that offer undergraduate and graduate degree programs. The following schools are located on campus: engineering and technology, agricultural and environmental science, education, business, and arts and sciences. Alabama A & M University offers degree programs in these and many other subjects: English, behavioral science, math, languages, military science, social work, the physical and natural sciences, psychology, teaching, music, and physics. The university has many financial aid counselors that are dedicated to helping student find the right financial aid solution to meet their unique needs. See the degree programs that are offered at Alabama A & M University. See the distance education degree programs that are offered at Alabama A & M University. See what it costs to enroll at Alabama A & M University and how many students are receiving scholarships, grants, or loans as financial aid to help cover the costs of tuition. See the admission requirements for Alabama A & M University. Find out how many students apply and how many are accepted. View a graphical breakdown of the gender, age, and ethnicity of currently enrolled Alabama A & M University students.